Love the costumes! Sounds like all of you had a great time–wish we could have seen them get all excited! Adorable. 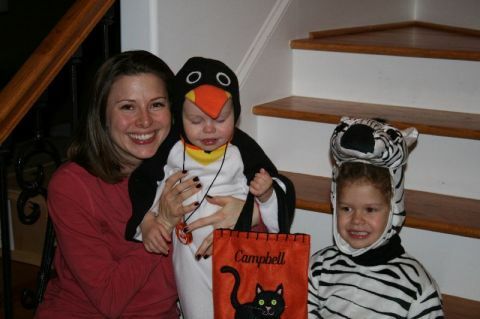 I think that zebra costume could possibly transform into state prison attire for next year! 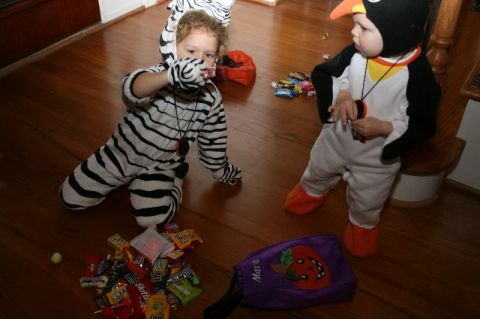 Hope mom stayed out of the candy….I know I haven’t! It was lots of fun. Mara loved it and had been talking about her costume for so long. 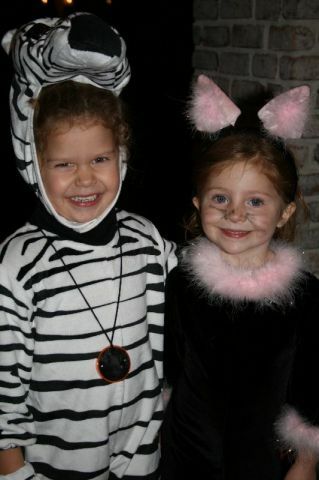 She just wanted to be a Zebra so bad!